Kennebec Potato | Henry Field's Seed & Nursery Co.
Main. Thin, smooth skin and flesh make these oval potatoes an all-purpose pantry staple. 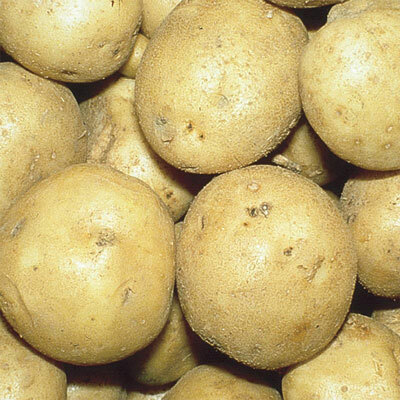 Young tubers are tasty for creaming and full-size spuds are excellent for frying, boiling, mashing or baking. Stores well. Soil Requirements: Fertile, well-drained sandy loam soil. pH 4.8 - 5.4. Will grow in higher pH, but sometimes becomes scabby.